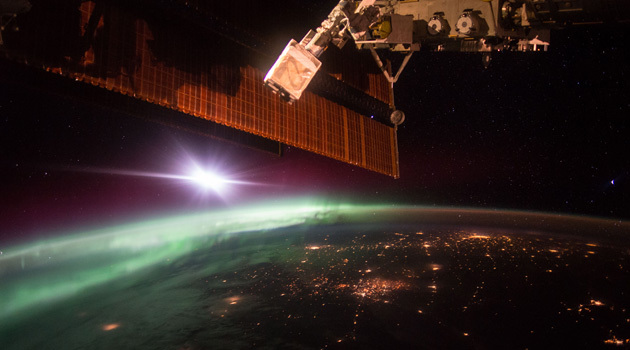 Throughout all of human history, only about 550 people have ever visited space. But that’s about to change. 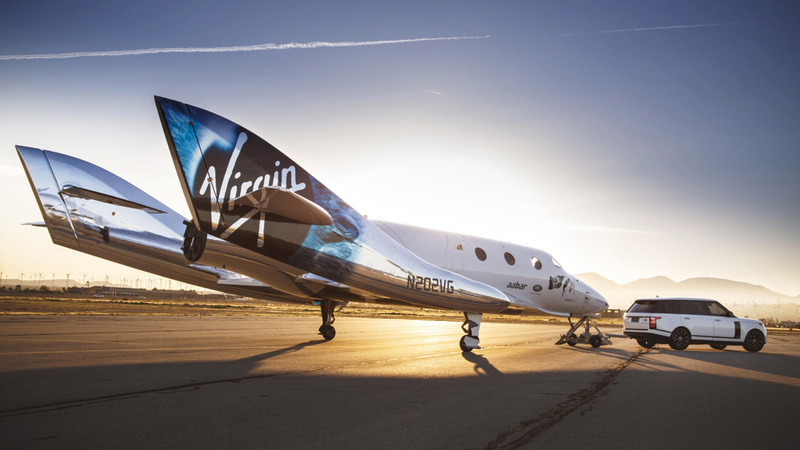 Companies like Virgin Galactic and SpaceX already have hundreds of people ready to take a trip into space once their rocket-powered sub-orbital ships are completed. 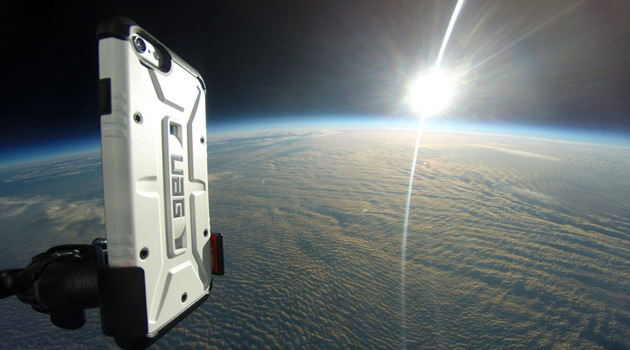 World View Enterprises, a startup based in Tucson, Arizona, is taking an entirely different approach, using high-altitude balloons to bring people to the edge of space. 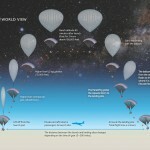 While the concept may sound a little far-fetched, flights using helium-filled balloons began in the early 1930s, and to this day NASA and other commercial companies use balloons as an inexpensive means to test payloads in near-space environments. 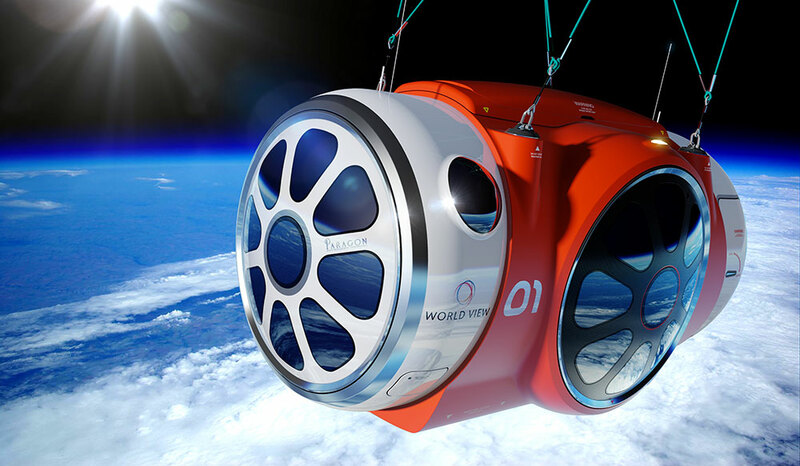 The World View Voyager Capsule is basically a pressurized cabin which makes use of a helium-filled balloon to travel over 20 miles to the edge of space. 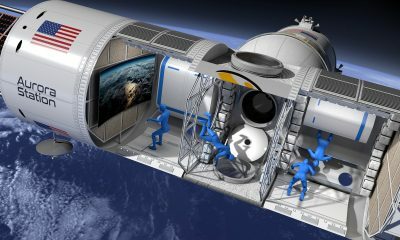 Whereas standard space-traveling rockets propel passengers at a blistering speed into the cosmos, a trip aboard the Voyager Capsule is actually rather serene. 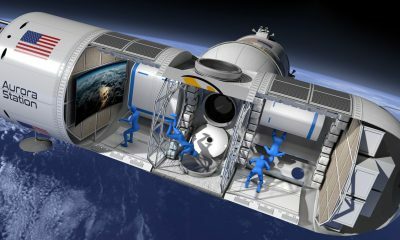 During the trip, passengers won’t have to deal with the effects of traveling at Mach speeds, instead enjoying a steady, two-hour ascent above the clouds before reaching their ultimate destination, atop 99% of the Earth’s atmosphere at the edge of space. 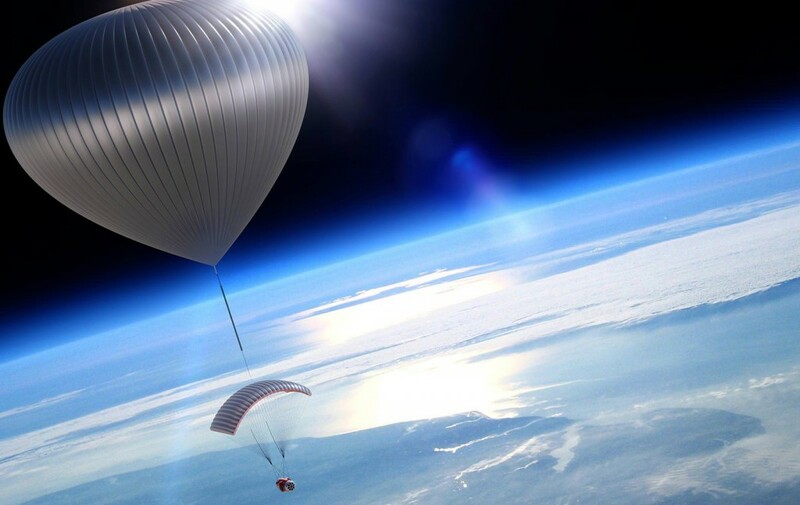 Once at altitude, passengers will sails the stratosphere for approximately two hours, taking in the “Thin Blue Line” of Earth’s atmosphere, the blackness of space, and the sun rising over the curvature of the planet. 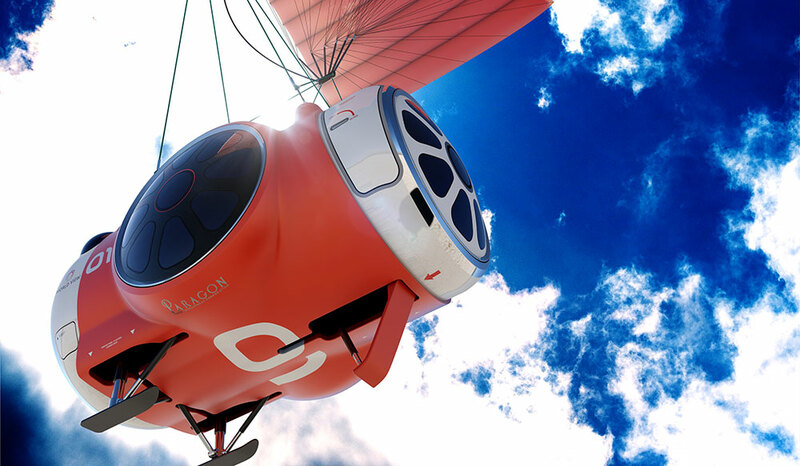 The luxurious capsule is also equipped with in-flight Wi-Fi, so you can take some selfies from space and post the ultimate Facebook status update. And naturally, there’ll be a selection of premium cocktails, so you can toast to this historic occasion. 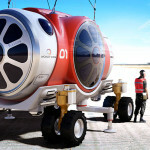 When it’s time to return home, the pilot begins venting helium from the balloon, causing the capsule to gently descend. 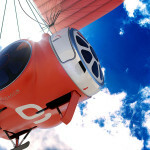 The ParaWing takes over for the remainder of the flight, gently gliding the capsule to their landing site. 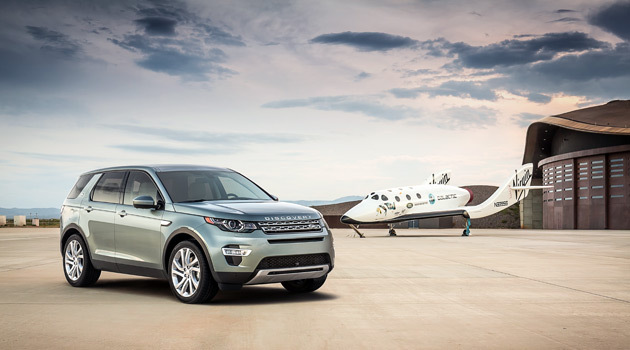 Before landing, the pilot deploys the skids, flairs the ParaWing and the capsule gently touches down. 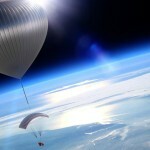 Interested in journeying to the edge of space? 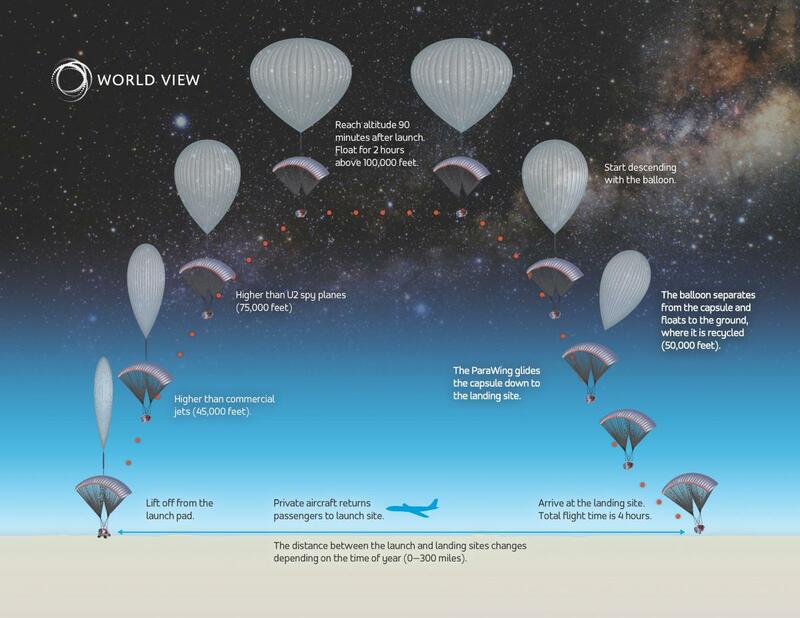 World View plans to begin offering near-space ballooning trips in 2017 for the lofty price of $75,000 per person. 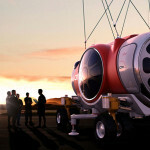 Who’s ready to travel into space aboard the World View Voyager? 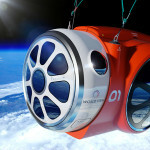 Who’s Ready To Stay In The World’s First Luxury Hotel.. In Space?